Don’t let dirty grout make you hate your pretty tile floor. Durable, versatile, and affordable — tile is the perfect flooring choice for bathrooms, kitchens, and other high-traffic areas. 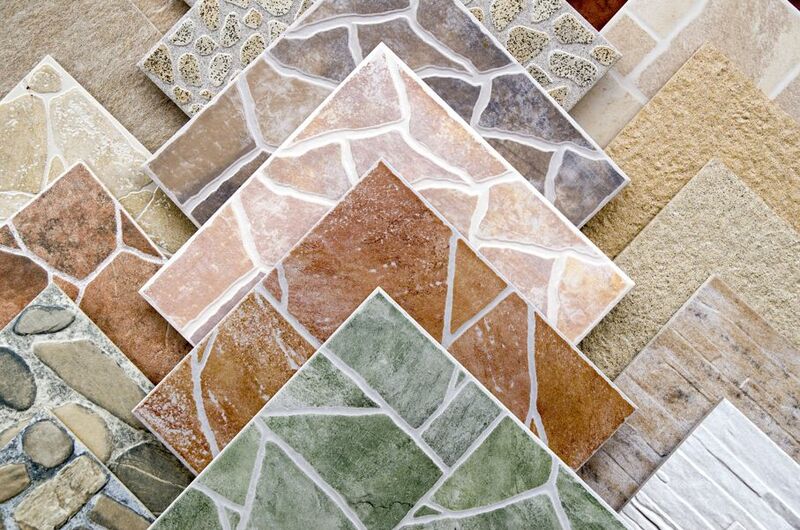 Whether you choose ceramic or natural stone varieties like quartz and travertine, you are bound to find a virtually unlimited selection of colors and styles to fit your needs and your budget. Tile holds up remarkably well to wear and tear. Grout, on the other hand, is another story. In fact, as dirt and other stains permeate the grout, it can quickly make your brand new tile flooring seem aged and in need of replacing. Don’t let dirty grout make you hate your beautiful tile floor. Instead, focus on maintaining your tile floor by following these tips. 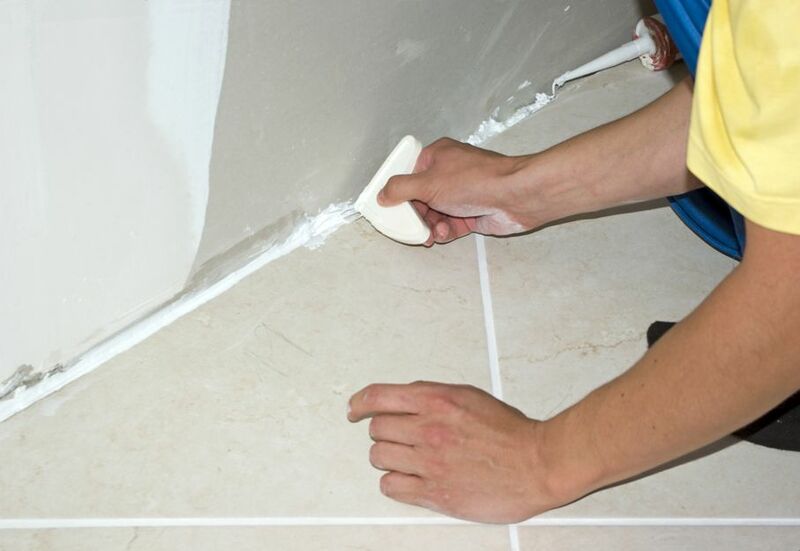 Once your new tile floor is installed, immediately seal your grout with a chemical sealant. But before you do, ensure that your tile is glazed so the sealant doesn’t permeate (and thus ruin) your beautiful tile. There are a number of quality grout sealants on the market today and your selection will depend on how you plan to apply the chemical: by brush, roller, or spray. The easiest method is spraying the sealant right onto the grout. 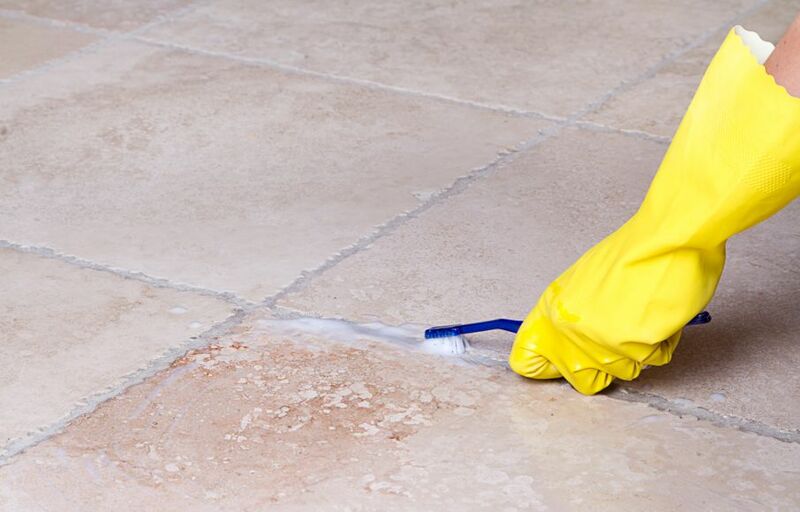 This requires a little less elbow grease than brushing and rolling, but keep in mind that some of the chemicals usually wind up adhering to the surface of your tile. This isn’t necessarily a horrible thing (after all, the tile is glazed) but it is still a factor to consider since it may or may not wear off over time. After you’re done with the initial seal, set a schedule and remember to reseal your grout up to 2 times every year. If you begin to notice staining in your grout lines, you know it’s time. It goes without saying that part of maintaining your tile floor involves vacuuming and sweeping daily. In fact, a little effort here really does go a long way in preserving the “newness” of your tile floor and grout. Vacuum on the lowest height setting so the brush is directly up against the floor. 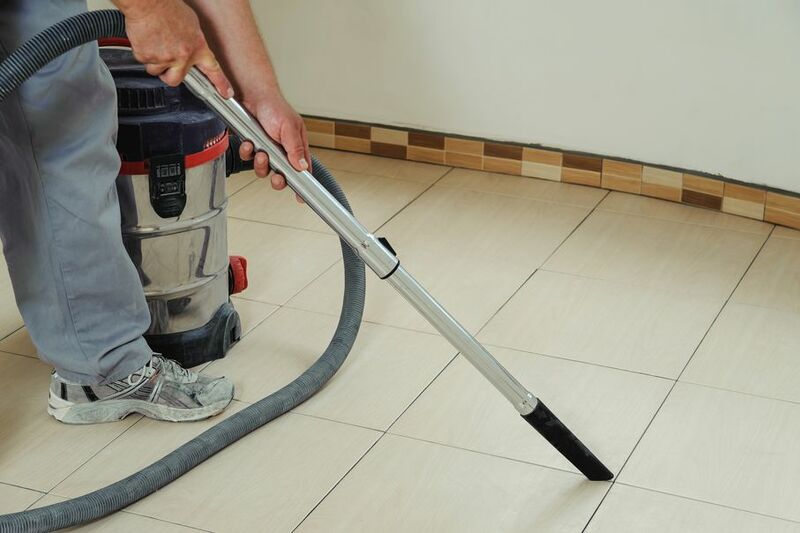 If you have the time, take the vacuum extension brush and run along the grout lines, especially near baseboards, cabinets, and anyplace else that tends to accumulate dust and dirt. Then, follow up with a thorough sweep of the floor using a high-quality microfiber broom or dust mop. 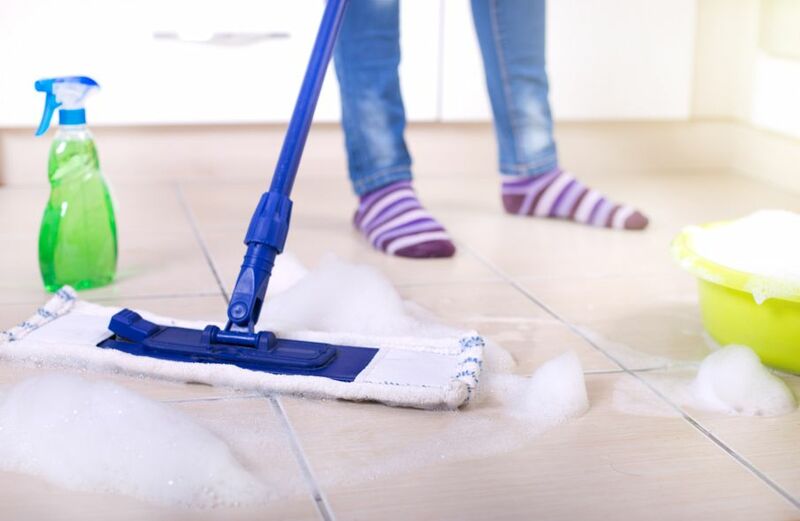 If you’re particularly good at maintaining the daily vacuum and sweeping schedule, you’re bound to forget to mop. However, mopping is essential in keeping grout stains at bay. Use a traditional cotton or microfiber mop head, along with a mild detergent or a solution of white vinegar mixed with water on your tile and grout weekly. Pay special attention to high-traffic areas such as by sinks and under tables and chairs. Even if you are diligent about maintaining your tile floors, grout is still prone to staining from dirt, food, and other spills. Thankfully, there are a couple ways to effectively clean it. And chances are, you already have everything you need in your own home. To begin, create a paste by combining baking soda and water. Then, apply the paste to the grout, let it sit for up to 15 minutes, and then scrub with a toothbrush or sponge. It’s best to work in sections to ensure you don’t miss a spot. Some handy tools available at the store can also help you keep grout lines clean, such as magic sponges (made from melamine foam) and special grout brush kits. Tile is a beautiful flooring option perfect for almost every room in your house. It holds up well over time and averages on the more affordable side when compared to hardwoods or carpet. At the same time, like all flooring, tile takes upkeep. Take pride in your investment and ensure your tile shines for years to come by maintaining clean, sealed grout.